How do I get Flash to work on my TV? - Ask Leo! Hi Leo. I just purchased a smart TV and while I can play videos from YouTube through the app, when I try to stream live sports, it won’t let me. I’ve looked at the web and it seems like Adobe has pulled their support of Flash Player for the Android TVs and Google Play. Is there a way I can use my TV to stream live sports (as this is why I got it)? I’m sure the TV is smarter than me so sorry if this is a petty request. It’s not a petty request , but I think that you’re kind of stuck. The whole Android/Flash thing is a tough one to solve. Let me explain. YouTube works well, but specific Android applications often run YouTube without using Flash. In fact, some websites use HTML 5 to run video without requiring Flash. Unfortunately, as you’re seeing, not all sites are doing that. They’re still using Flash, which your TV just doesn’t support. Whether you’re watching sports or some other type of program, watching any video depends on the service, the site, and the source. These days, many TVs are playing with this concept of being interconnected or connected Internet devices themselves. In many ways the technology built into your TV is in its early stages. Manufacturers are still trying to figure out what’s important and what’s not, what works and what doesn’t. Unfortunately, I don’t have good news for you here. Your ability to view Flash video depends entirely on your TV. 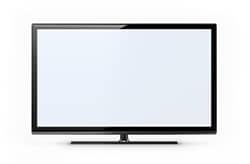 The best way to see if that can be made to work is to contact the television manufacturer and see what kind of solution they can offer. They may have additional resources for you. Now, it is still a television set. You can still connect to cable, satellite or an antenna. I realize that’s not what you’re trying to do. You’re probably trying to stream a sports event that isn’t available on your broadcast TV channels or however you’re getting regular television. One solution that I’ve taken is to actually dedicate a PC to the task. I have a (Windows 7) PC sitting underneath my TV. It can run Flash, a web browser, Amazon streaming, and all of those things – basically anything that you can do on a PC, I can watch on my TV because I simply use the TV as the display for that PC. All that I had to do was connect the PC up to my TV, make sure the video card on the PC was up-to-date, and have an HDMI cable to connect the TV to the PC. That works really nicely. I just focused on letting the TV simply being a TV and leaving it at that. To Flash or not to Flash? That’s a good question! - Adobe Flash has been in the news this week. I'll talk a bit about why, why solutions aren't simple, and what I think you should do. How risky it is to run Ubuntu from a flash drive? - Having a bootable version of an operating system like Ubuntu on a USB flash drive can be very handy for a variety of reasons. Since flash memory can wear out, however, it's important that you back up. « Previous post: Should I remove the battery if I leave my laptop plugged in? Leo is right in all aspect hook your PC up and you have a genuine way to stream all your online games and the like. I use to have a smart TV i got ride of it and went Leo route a long time ago. and guess what no more worries about flash being not there and no worries about constant com.google apps crashing yes you will get those and guess what the whole TV crashes with it. If i was you i would sell the smart tv and buy a real tv and go the route of a dedicated pc just for it. do any of the new boxes like apple tv or chromehave access to adobe flash player ? Wow! You have a very unique answer for this problems! Ho w didn’t I think of that? Sorry you’re disappointed, but sometimes the answer is that there’s no answer.